I already posted a little bit about my experience on Thursday in my Five Friday Faves post last week. I finally got to meet Jen and Ange, who technically came in on Wednesday night but I was totally passed out when they got in. 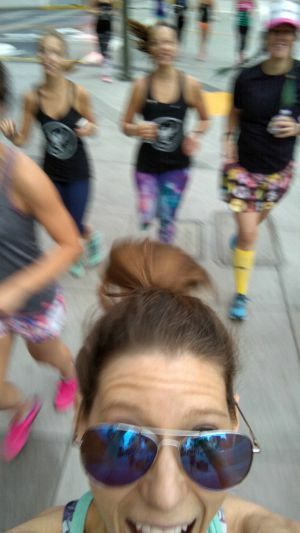 I headed with those two and our other roommate, Susie, to the #betruBlogFest fun run sponsored by Truitt Foods. We listened to some lectures about blogging, headed to the opening ceremonies where we heard some inspiring stories about overcoming obstacles. Lunch sponsored by Nestle was next, where they tried to convince a group of dubious bloggers that frozen dinners are a healthy food choice. That didn’t sit well with most of us. Great effort to put a positive spin on it, though. After lunch, there were a few more lectures. Melissa Burton‘s talk about nutrition that’s based on SCIENCE had me wanting to give her a standing ovation after every slide. After the lectures finished up, I headed to dinner with my roomies and Erin to a really delicious Mexican restaurant where I was so tired I couldn’t put together complete sentences. Jet lag is real, folks. We stopped by the IDEA World party for a couple minutes, then headed to bed because we had an early morning the next day. Full disclosure: I am a terrible blogger and didn’t take as many pictures as I should have. Sorry everyone! We started out bright and early with a workout by KaiaFit. It was a fun full-body workout that incorporated a lot of body weight moves, and they presented it in a fun way that fostered teamwork and some fun competition, but nothing too serious. I had a good time. After the KaiaFit workout, we scarfed down some breakfast and listened to some great legal advice for bloggers from Elizabeth Bain, who is quite hilarious. 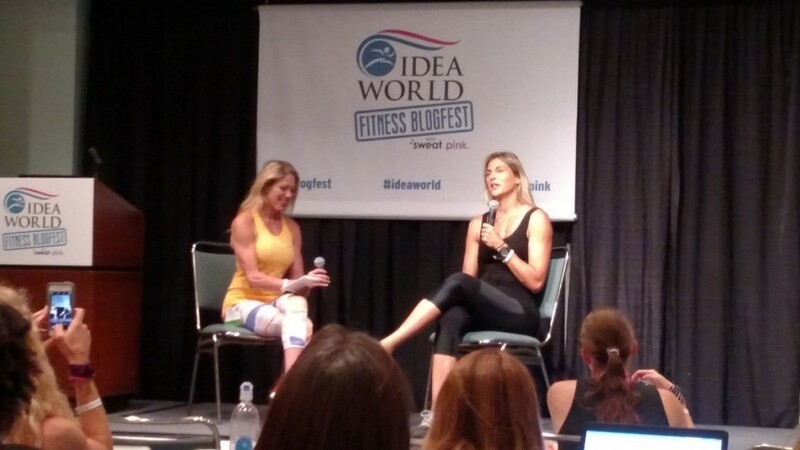 Next was our keynote, given by Gabrielle Reece. I think her message really resonated with pretty much everyone in the room. Gabby talked a lot about community, both from a fitness and a personal side. She talked about how community fitness is great because you find accountability with the people you agree to work out with. And, she talked a lot about working together, especially women working together, to get things done. Less competition, more supporting each other. Loved the message. Then, she kicked our butts with her High X workout. It was amazing. We split into small groups to do short HIIT intervals for 3 minutes, then moved to another station do do another set of HIIT movements for 3 minutes. The workout was set to really fun music that made you want to move. I loved every minute of it. By the way, when Gabby Reese tells you to work harder, you work harder. You can’t say no to that woman. I loved the workout and would absolutely do it if it was offered in my area. She posed for photos with us after the workout. Having a post-workout photo taken next to a model is not fair. We did more lectures and lunch after Gabby’s workout. Some folks took a Zumba class with Beto Perez, the founder of Zumba, but my body really needed a break, so Suz, Ange, and I enjoyed the hotel pool for a few minutes before getting ready for the BlogFest networking party that night. Saturday and Sunday we attended IDEA World sessions, so the BlogFest attendees were all over the place. 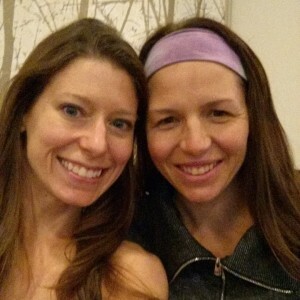 I went to a few yoga workshops in the morning, and was lucky enough to bump into Katy before my yoga sequencing workshop, so I got to chat with her and fangirl a bit before our session. Saturday afternoon I headed to a weird barre-less barre class, that wound up being a lecture about how we need to not wear traditional shoes and get in touch with our feet more because back in the day humans didn’t really wear shoes. I’m sure we also had a lot of foot pain back then, too. I finished out my Saturday at a running session with Dr. Jason Karp where he gave a whirlwind lecture about a lot of important aspects of running. Lots of great info. Sunday morning I headed to two more yoga sessions, although skipped the workout at the last session because my body was so tired. I did meet up with Heather and Ashley for the first session, which was great because I got to chat with them a little more before I headed out. 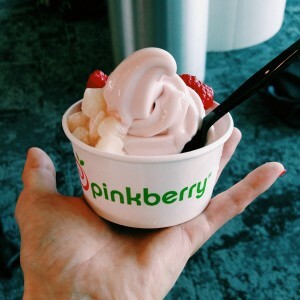 And, of course, Suz and I had to grab some Pinkberry at the airport because we were in LA. 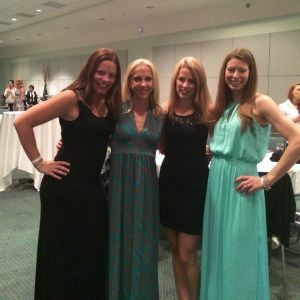 Look forward to another post on Saturday about all of the things I learned at BlogFest! Have you ever done a workout with someone famous? I want to go so badly next year! They should let you take the model pictures BEFORE the workout, although you look fabulous anyway! Missed out on that pinkberry at the airport! Our lineups took forever so we were really rushed. I love reading everyone’s recaps! I would love to attend Blogfest one year soon. I love reading them, too, because I get to relive all of the fun! 🙂 It’s definitely worth going if you can swing the trip! I’ve never been to a blogging conference but I’d love to at some point! Looks like a great trip! Definitely consider it–the networking and the information make the trip 100% worth it! I’ve worked out with you, thus I have worked out with someone famous!! All of the lectures sound so interesting and make me want to go next year! 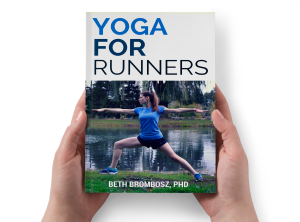 I’m a total running and nutrition nerd. Jet lag is so real and I’d probably would have need an IV of coffee! Looks like you had a blast AND learned a lot. I had to check out Melissa Burton’s site after that comment 🙂 Truth. Yes, she was such a great speaker and had such great information! 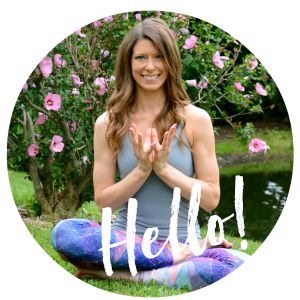 Definitely follow her–I am! Looks like a good time! Were there other sessions/lectures you would have liked to attend? Whenever I go to a conference, it seems all the good sessions overlap! This looks like a total fun time! I need to look into attending one of these some time 🙂 Thanks for the recap!! Yes, definitely do, Kim! Such a great way to both network and learn!